Oh what’s this we see? Why, it’s The Ableforth’s Tubbery - a brand new concept from Ableforth’s and THE place to head during London Cocktail Week for Taste Workshops, cocktails, skittles tournaments and all kinds of Tub-based merrymaking. Part of Manchester Food & Drink Festival, come join us at the Gin Lounge Manchester where you will be able to sample our delicious range of Bathtub Gin! That Boutique-y Gin Company and Ableforth's are the ultimate dream team and we've got the pleasure of their company for two days to sample of all things gin at The Telegraph Gin Experience. Ableforth's are joining the food-loving masses for a weekend of delicious Bathtub Gin serves. A daytime market on the famous Pantiles, dedicated to Gin. Ableforth's will be selling a selection of G&T serves, with live music on the old victorian bandstand. Bathtub Gin Infusion Workshop: Sunday 10th evening from 6-7.30pm. Tickets for this are £30 - you will learn how to cold compound gin and even take your very own handmade bottle of gin home with you! We're heading up north with Rumbullion! in hand for Manchester Rum Festival 2018! Taking place on Friday 1st June, we'll be among over 40 rum producers showing off all manner of incredible rums in Manchester Cathedral. Come along, say hello, ask us why we spell Rumbullion! with the exclamation mark every time (maybe skip that last one). We're great at casually dining. We know how to quickly read menus to see if our favourite desserts are available so we can plan ahead. We don't talk with our mouths full. We understand what a soup spoon is. So, with that in mind, we're the perfect guests for Casual Dining 2018, hosted on February 21st and 22nd at the Business Design Centre in London! Come along, taste our drinks and marvel at our casual dining skills. Who doesn't like a festive feast? Well, the chaps at BBC Good Food certainly love festive feasts, and have invited us along to their very own Festive Feast at Hampton Court from the 8th to 10th December. We'll have our big plates ready. Our merry band of Ableforth's expressions will be in attendance at the Spirit Show 2017, taking place the at Business Design Center in London on the 1st and 2nd of December. Come say hello and taste our wares! Once again we're making the trip up to Birmingham for the BBC Good Food Show! You know the drill - come say hello, taste our delicious tipples, marvel at the fact that we exist away from computers and piles of botanicals (although we might bring some botanicals with us to make us feel at home). Like a wisdom of gin-wielding wombats, we're going underground for this year's London Cocktail Week. We're hosting a week-long, day-to-night hideout at subterranean level a stone's throw away from all the LCW2017 shenanigans. During the day, pop along to escape the madness with a coffee and free wi-fi. When the sun goes down, the booze comes out. We'll have the Ableforth's range ready to mix up some smashing cocktails, guest bartenders will be paying a visit and a gamut of games for playing. Gin Rummy, anyone? Ableforth's Underground will be running for the whole of LCW2017, from 12 noon to 11PM every day - entry is free, so come say hello and join in the festivities! Not content to be at one palace on any given weekend, we'll also be at Alexandra Palace for the Foodies Festival from August 26th to August 28th! Come hang out, taste our wonderful spirits and hope that the weather holds out for just a little longer before the tirade known colloquially as "autumn" is unleashed upon us all. We're heading back to London's Tobacco Dock for the London Summer 2017 Gin Festival! Three days of spectacular gin served up by our stylish selves - and you'll even be handed you own balloon glass right when you arrive! Cracking. Gin, music and nibbles. Is there a better combination? That's a rhetorical question. Don't answer it. Just come along to Gin Bop! at Rivington Greenwich and enjoy our gins, some smashing music and tasty treats like Gin Cocktail Sausages. We're off to Stourbridge to join in with Nickolls & Perks' second Just Gin event. 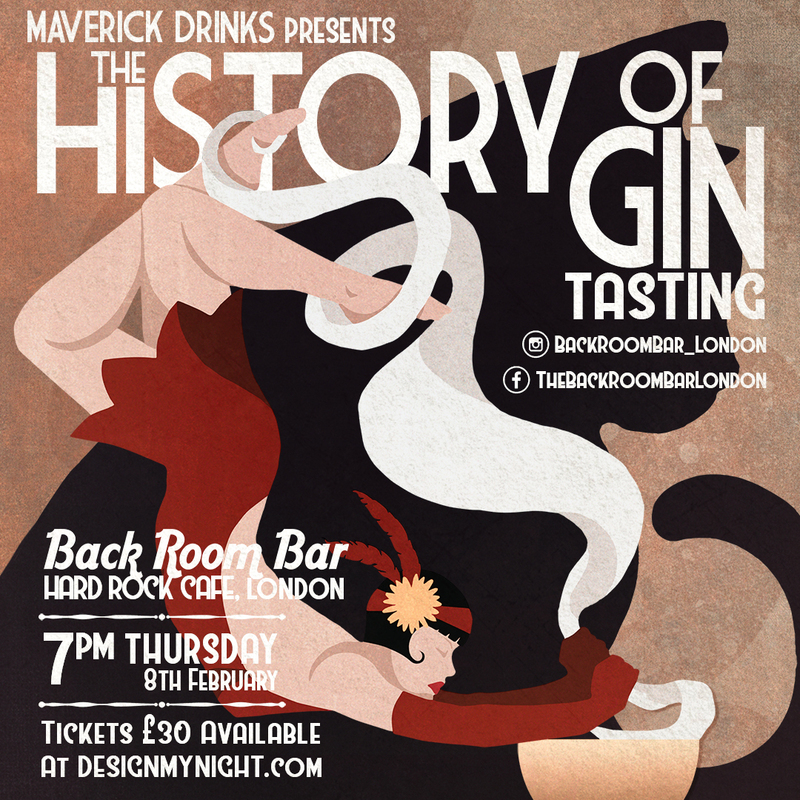 As ever, expect us to be serving up our tasty Bathtub Gin and its variations in all manner of arrangements. We'll also likely be singing some Led Zeppelin songs in honour of Robert Plant because he went to school in Stourbridge, so look forward to that. The Foodies Festival is heading to Blackheath in July, and we'll be along for the ride! Come along, try our drinks, give us high fives, enjoy the sunshine and do another thing to round off this list of five activities. We head to the West Midlands to pay Birmingham a visit for the BBC Good Food Show! Hosted at the Birmingham NEC, we'll be pouring our whole range for you to try, come and say hi! Also, the NEC is also hosting a Dinosaurs in the Wild show that very same weekend - so if you can't find us, we'll likely be riding a stegosaurus or something. Join us at Taste of London 2017 in Regent's Park at Stall N1, where we'll be running our very own Ableforth's Cocktail Bar! It's guaranteed to be describes as "neat" or "rad", and perhaps even "out-of-sight". Actually, maybe not the last one. That might be a little too retro. Sorry, we got carried away. How about a Junipalooza encore? Oh, if you insist! Yes, well be there for Gin Foundry's Junipalooza 2017's Sunday as well as the Saturday. We wouldn't dare miss it, and neither should you! Guess who's going to be at Gin Foundry's Junipalooza 2017? That is, of course, a leading question, considering the website you are currently browsing. Never-the-less, you are indeed correct - us merry Ableforth's folks will be on hand at Junipalooza 2017 to show off our award-winning selection of gins! Book your tickets for Junipalooza's Saturday Afternoon Session (11:00 to 15:00) and Evening Session (16:00 to 20:00) below, and check out all the other excellent gins that'll be there too! Looking for something to do over the late May bank holiday? Want that aforementioned something to do with gin? Well, you're in luck, as the Sheffield Gin Festival is taking place on the 27th and 28th on May - and your favourite pals at Ableforth's will be there! We won't jinx the weather, but let's hope for big sun instead of terrifying lighting cloud on the weather forecast.